Operating a crane or hoist in your business? Then you know how crucial they are to keeping your operation running on time and at peak efficiency. Downtime results in lost profits. Regularly scheduled crane and hoist inspections conducted by the specially-trained professionals at Young Electric can ensure efficiency by preventing accidents and maximizing productivity. Our goal is to identify and eliminate any possible problems that could cause injury, loss of production, or damage to your lifted loads. We're uniquely qualified to inspect, test, verify, certify, install, and maintain your cranes, hoists and lifting equipment. Our Certified Crane Inspectors ensure your equipment is safe and is compliant with statutory requirements. Upon completion of our inspections, we provide you with inspection forms, findings, and recommendations. 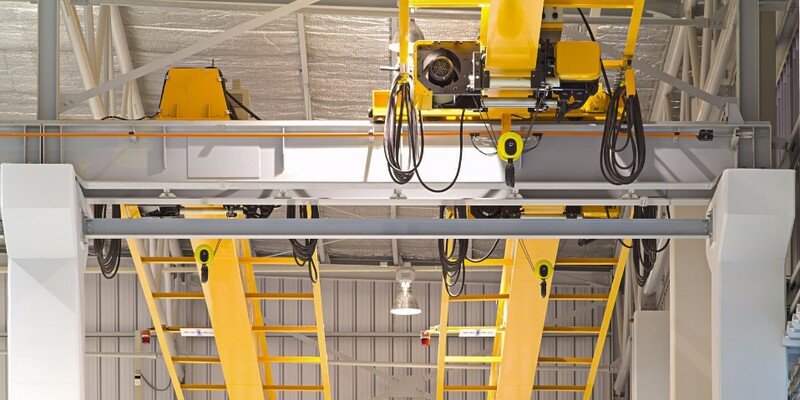 We cannot stress enough the importance of having your overhead lifting equipment inspected routinely to prevent unnecessary down time and to ensure the safety of people and equipment.